Well my leg is feeling much better. I was able to get in 35 miles this past week. Saturday was nice running a bit wet but warm. I did a short run today and it was cold. This is a preview of what is to come. I signed up for the Devon Prep Challenge which is a 5k the Saturday after thanksgiving. 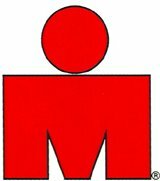 Alot of events coming up.m Philly marathon is next Sunday and then the next weekend Todd C. will be in HI for ultraman. Enjoy your week.